Rock 108 welcomes Hatebreed to Wooly’s in Des Moines! Ready for some metal? 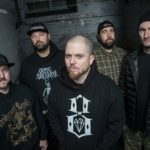 Hatebreed is coming to Des Moines! Along with special guests Obituary, Madball, Prong, and Skeletal Remains. Tickets start at $30 and are ON SALE NOW!